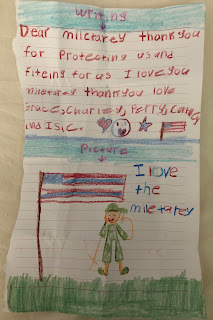 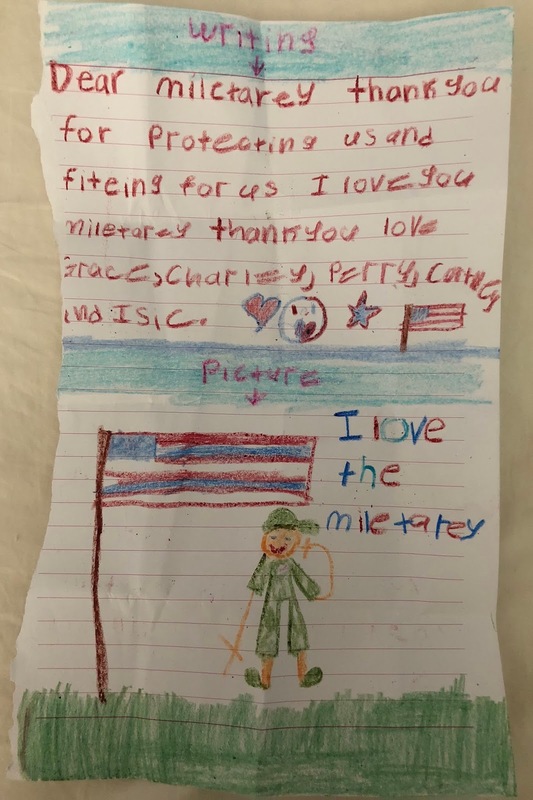 Monday was Memorial Day, and Grace drew this sweet picture to show her love and appreciation for the "miletarey". Perry napped the day away, while we relaxed at home. 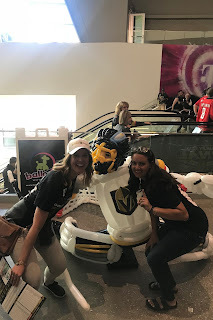 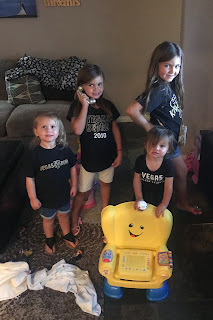 We had plans to meet Matt and Frannie at T-Mobile Arena for the Knights game, so we all got ready in our cutest Knights gear. 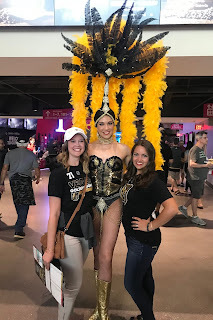 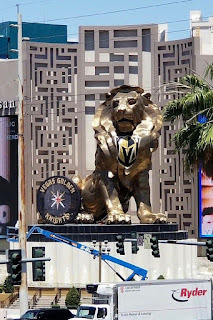 After dropping the girls off at Grandma Espejo's, we headed to the arena, and I kept seeing all kinds of cool Golden Knights stuff online. 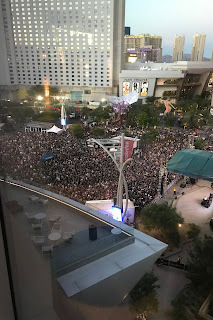 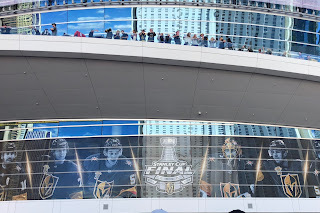 Toshiba Plaza was packed full of people and there was so much to do. 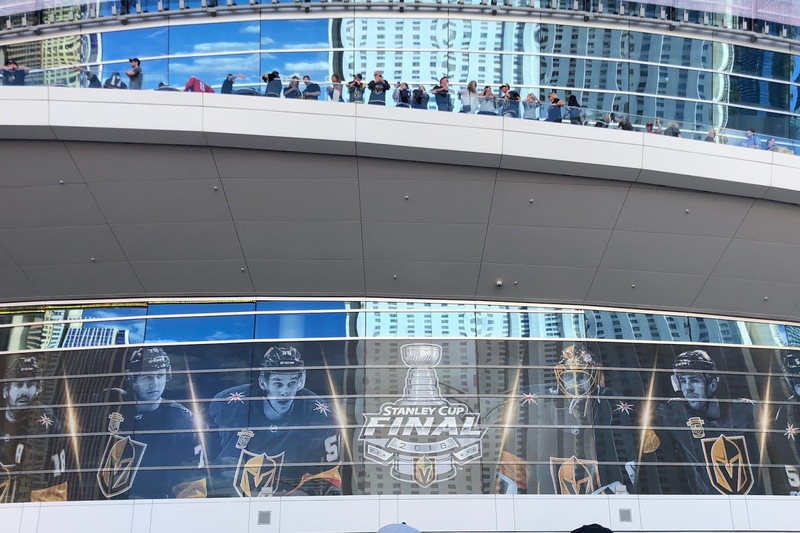 Lil Jon performed outside before the game, and the excitement in the arena was unreal. 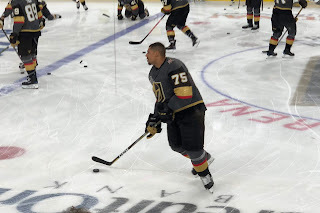 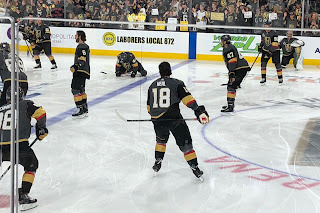 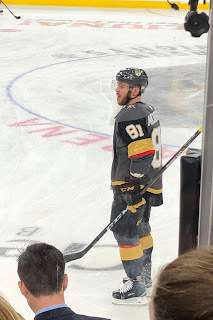 Frannie and I snuck down to the ice to watch the guys warm up, and we were so close to the players. 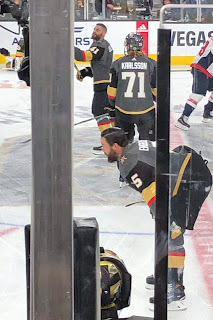 It was so exciting to watch them skating around and goofing off together. Eventually, we made our way back to our seats and screamed the entire game. 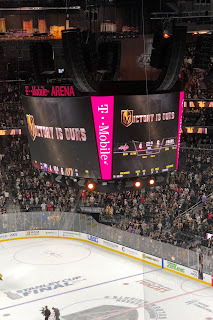 It was electric. 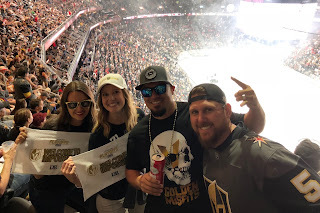 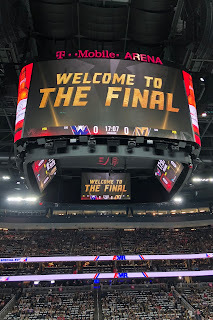 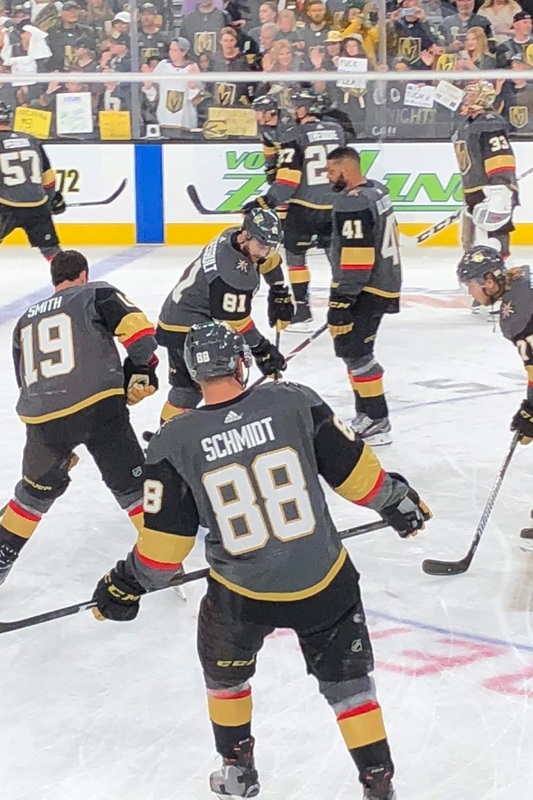 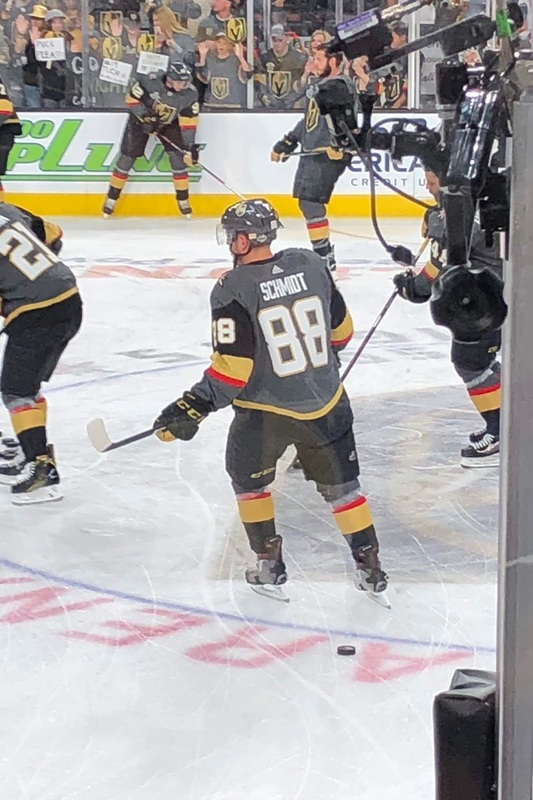 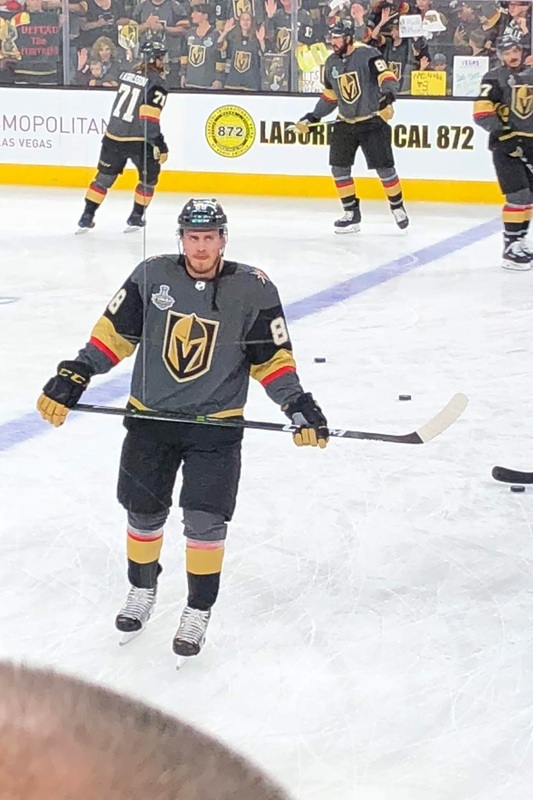 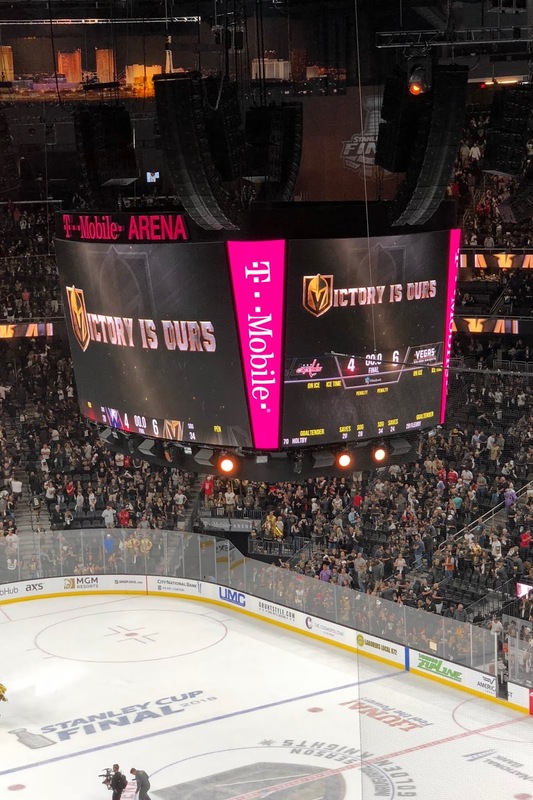 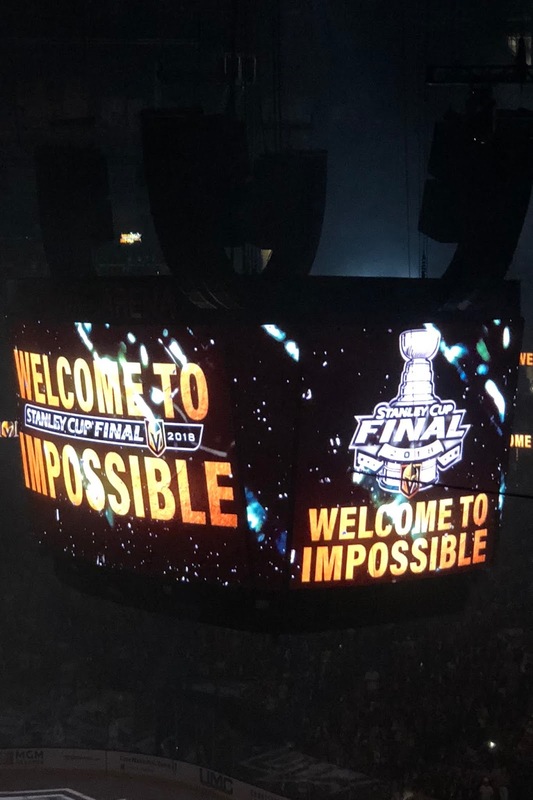 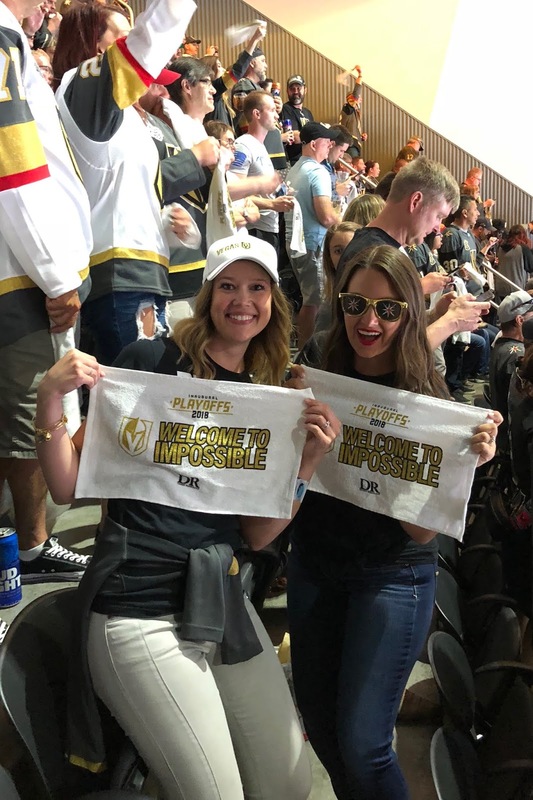 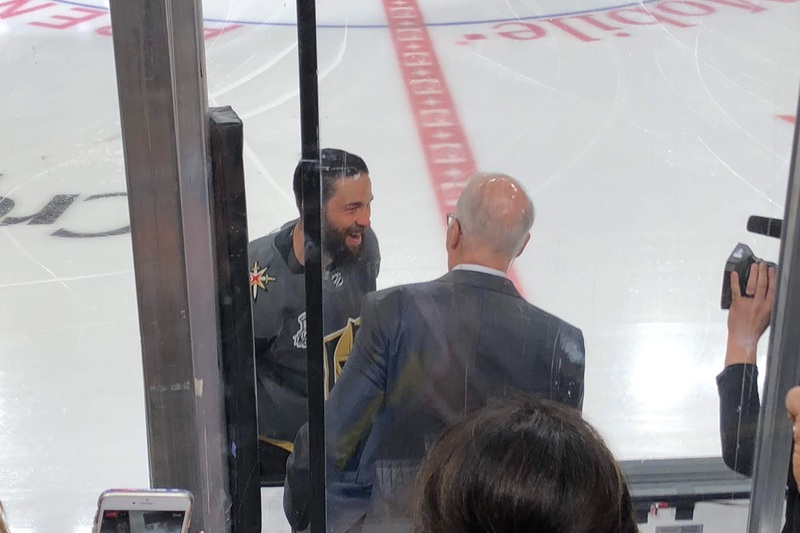 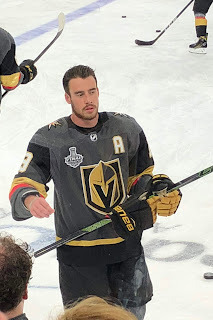 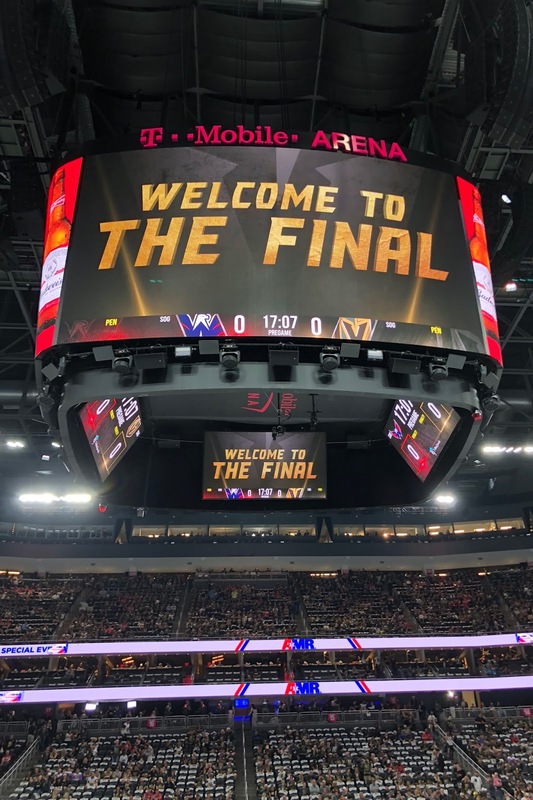 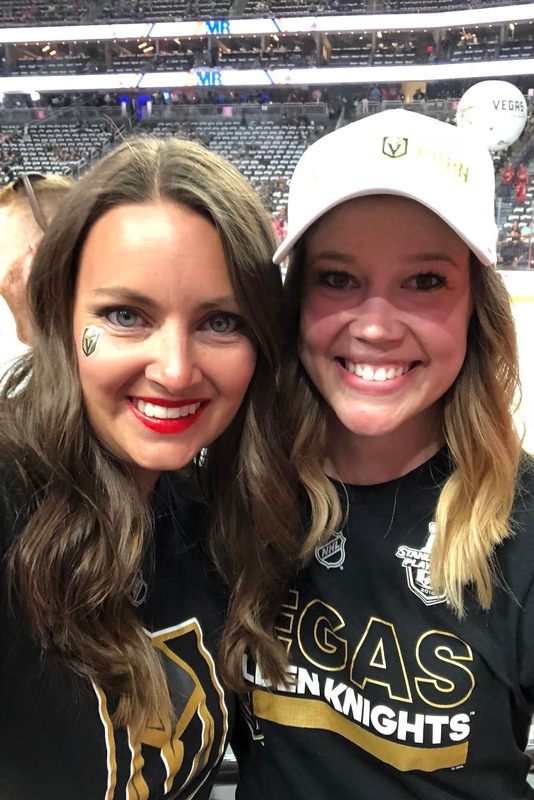 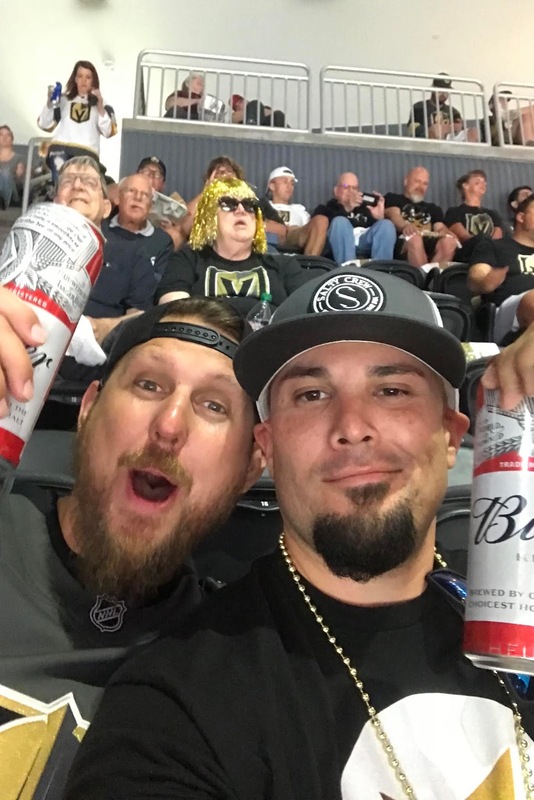 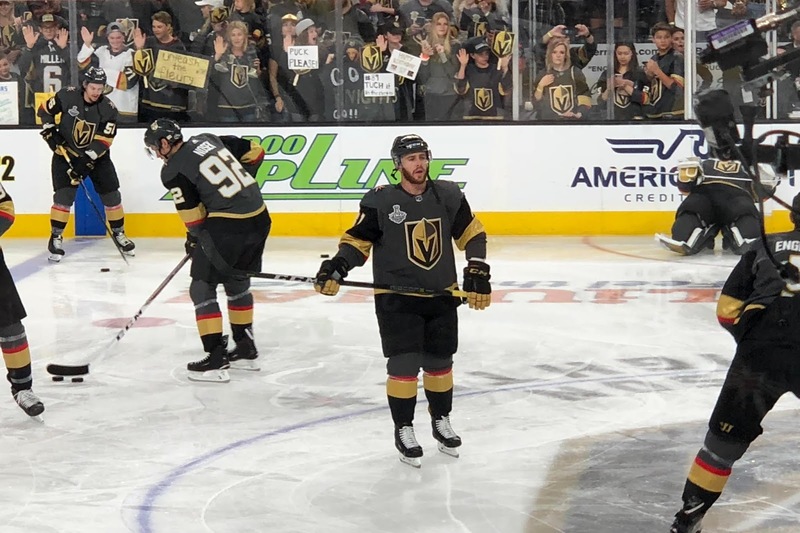 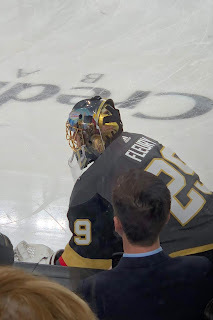 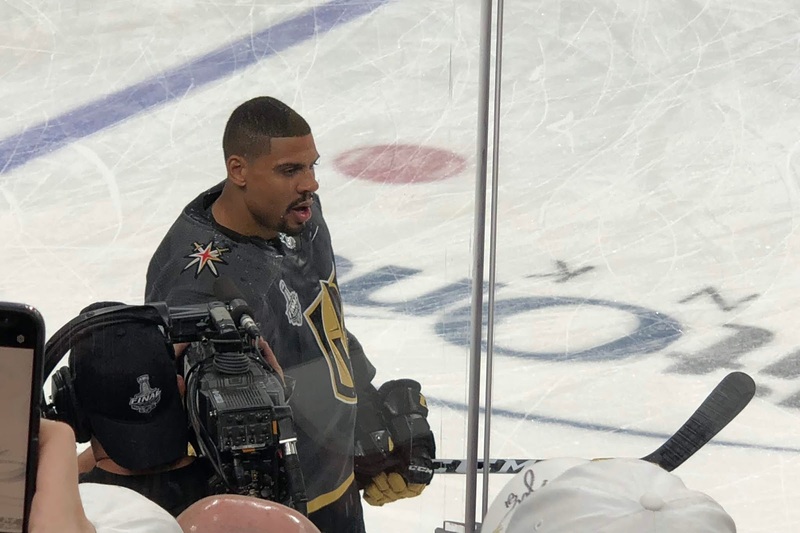 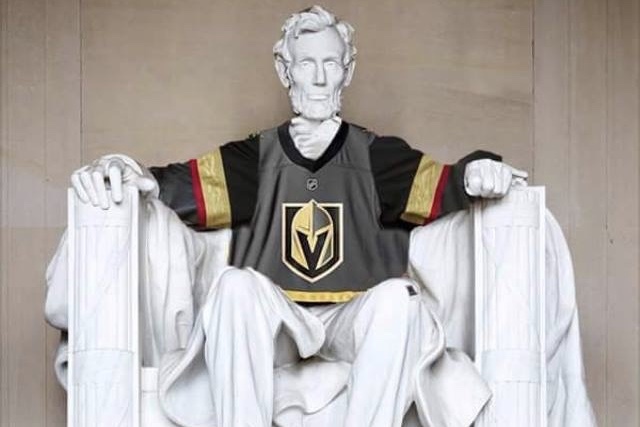 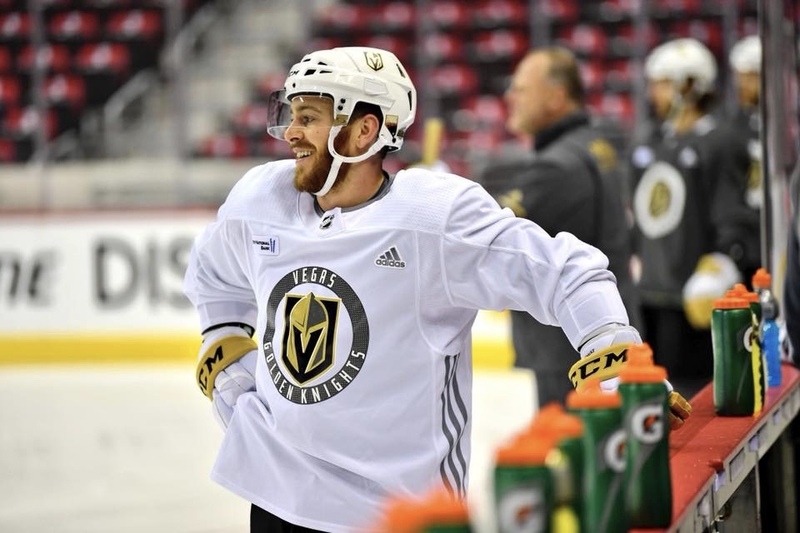 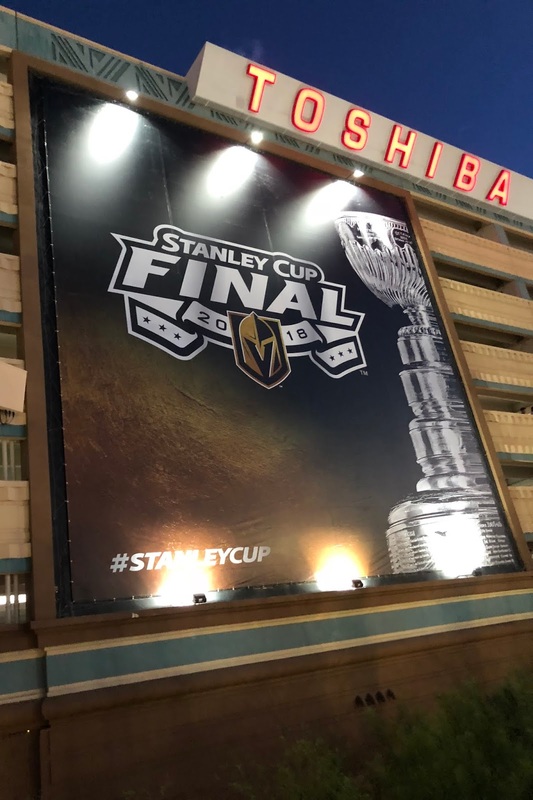 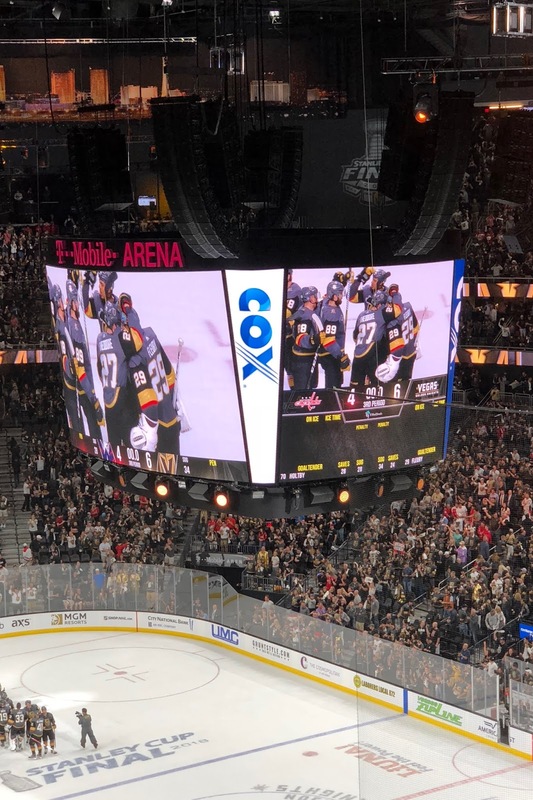 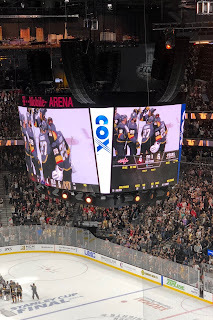 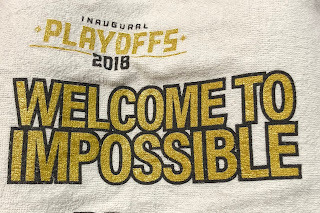 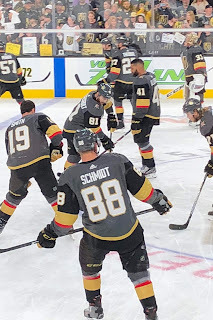 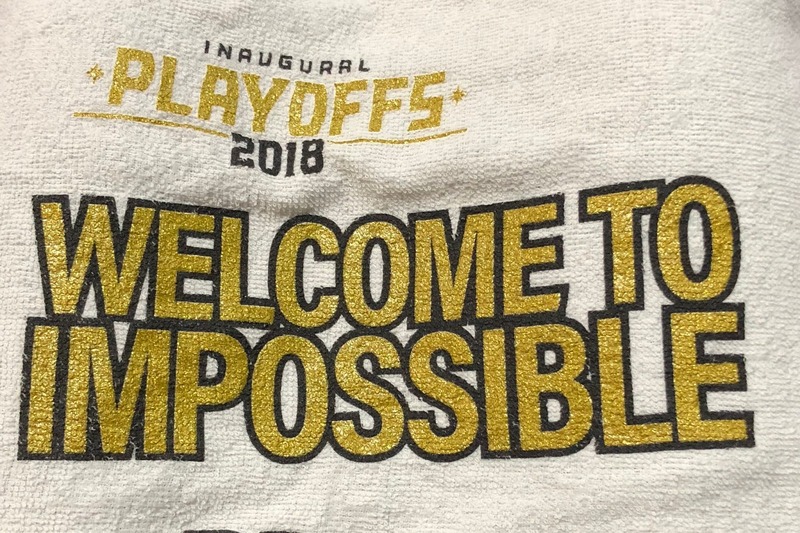 Vegas' first Stanley Cup playoff game did not disappoint, and we won! 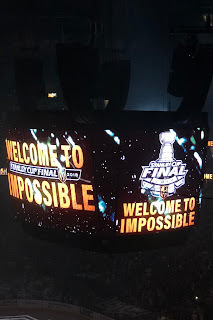 Here's a little highlight reel of how crazy it was inside. The next day, our Nugget came in the mail, and Perry and Toodles loved it. 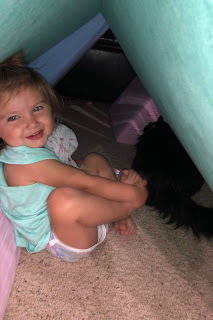 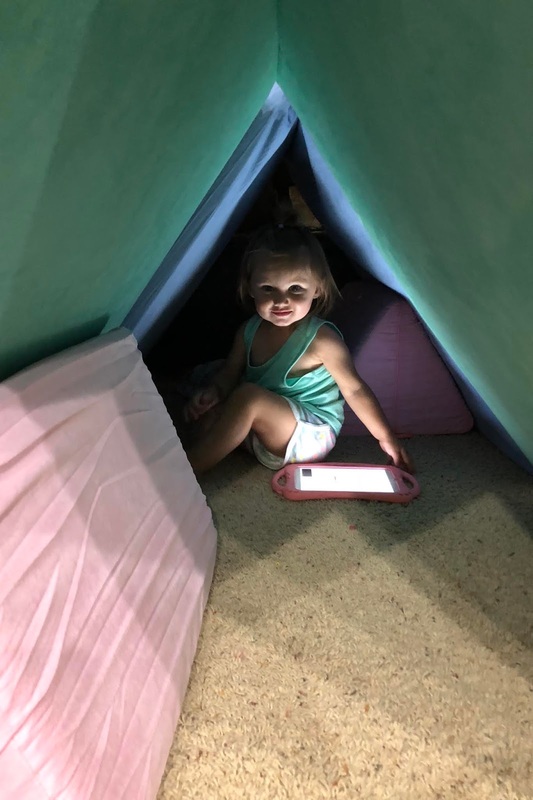 It's basically a couch that comes in parts and can be folded up to make forts, beds, or a variety of seats to sit, lay, and jump on. 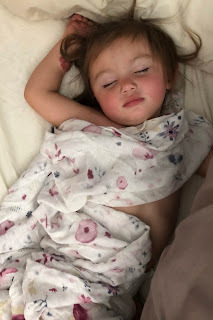 She was exhausted the next morning, like usual, and did not want to wake up. 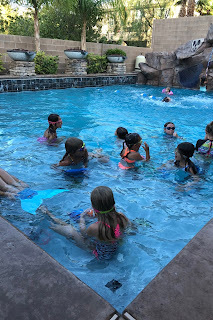 That evening, we had the girls' end of the season soccer party at their coach's house. 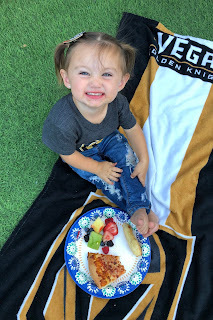 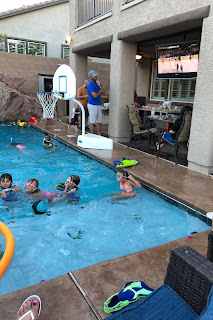 We watched the Knights game, while all of the kids swam in the pool. They had a blast playing with all of their friends and getting trophies from their coach. 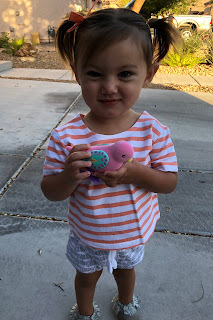 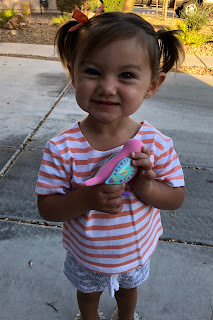 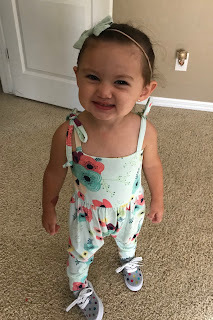 Perry looked adorable before school on Thursday. 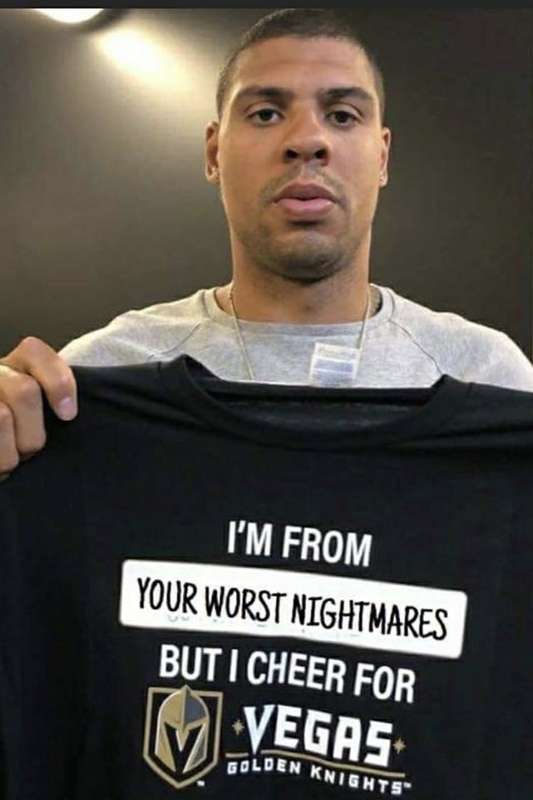 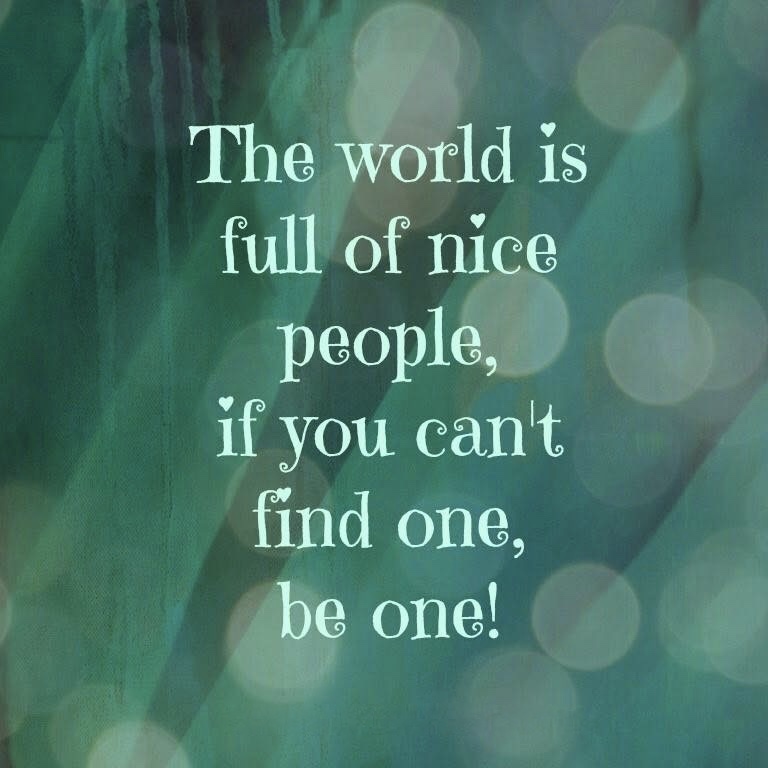 I came across this and thought it was so fitting in a time where people are so mean about everything. Grace's friend Bryce invited her over to go swimming Friday afternoon. My mom dropped Grace off since I was at work, and she had the best time swimming with her girlfriends. 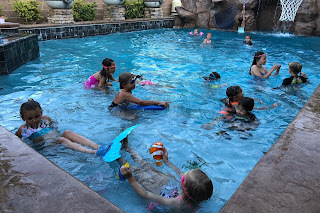 After work, the cleaners came to our house, so we hung out in the back yard. 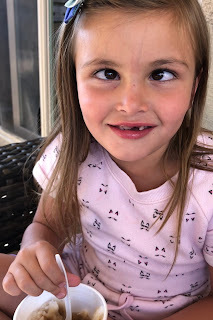 Grace was still at Bryce's, and Char and Perry were being super silly. 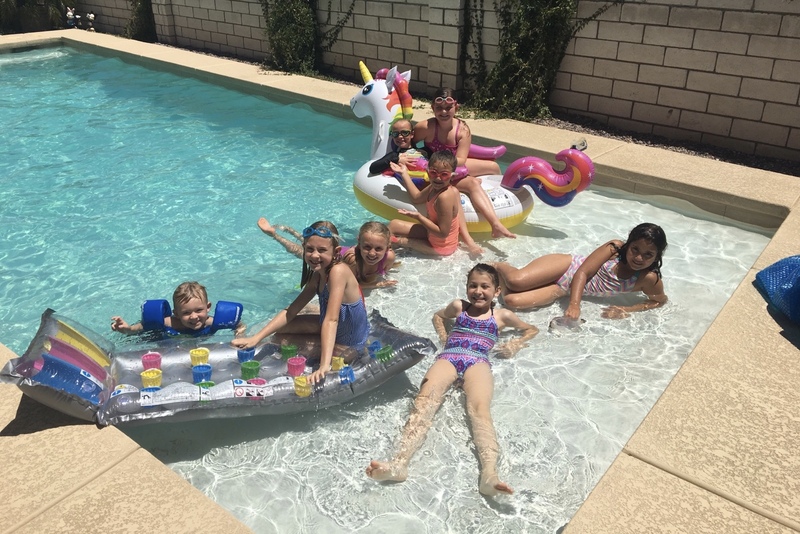 It got pretty hot, so I got the hose out and let them run around on the trampoline with it to cool off. 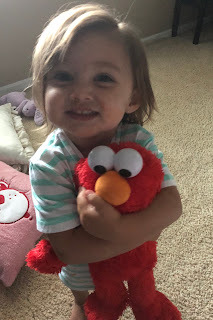 After her bath, Perry played with Elmo and asked me to "take a cheese" with him. I left early Saturday morning for the most fun girls' trip to Huntington Beach, so Isaac was on Daddy duty all weekend. 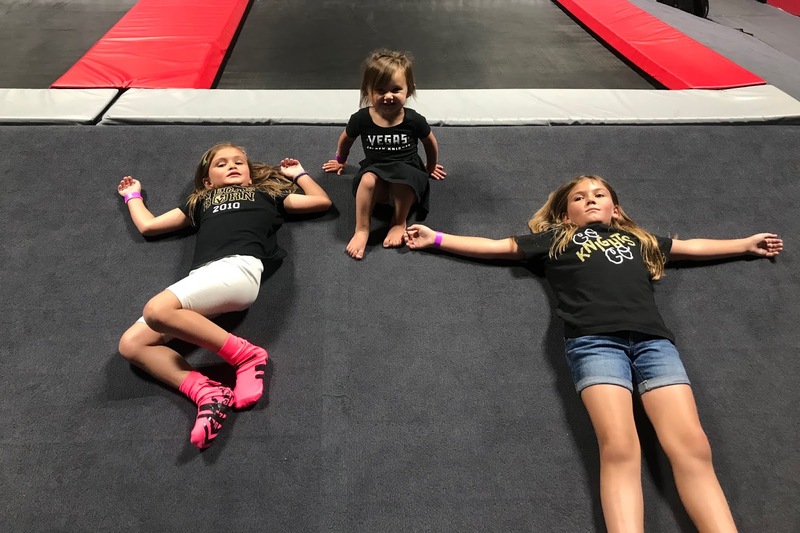 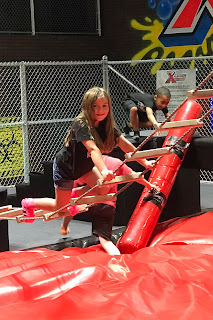 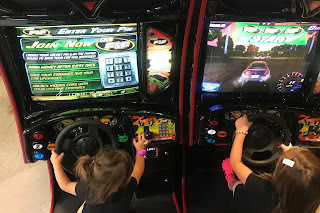 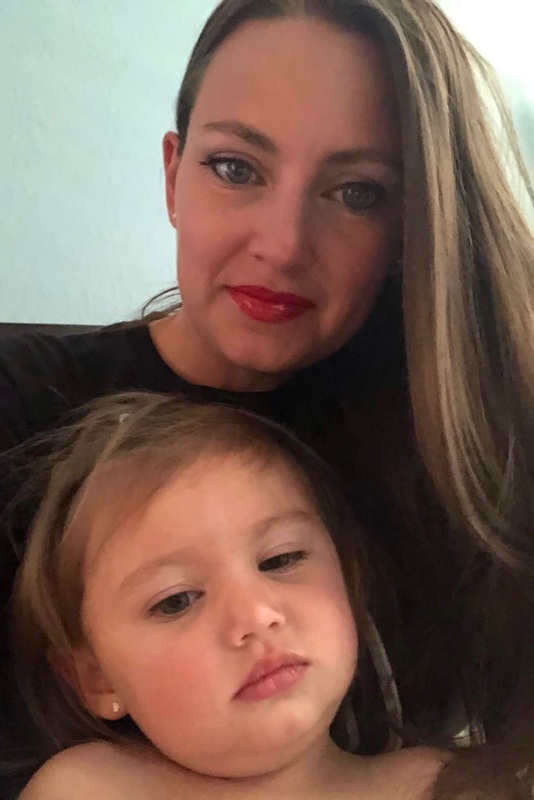 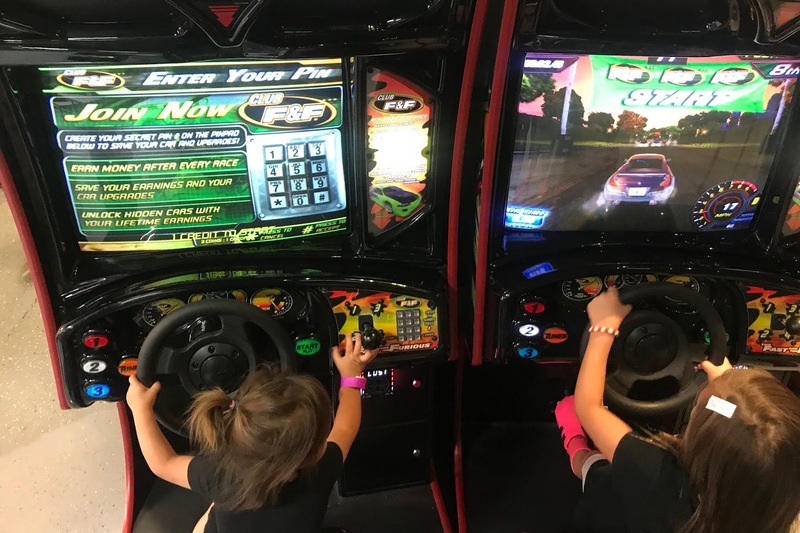 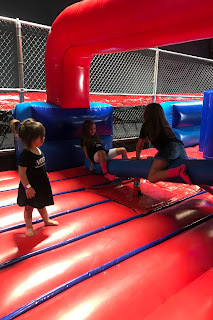 I was having the best time with my mom friends, while he took the girls to FLIPnOUT for some fun (and probably to help them burn off a lot of energy). 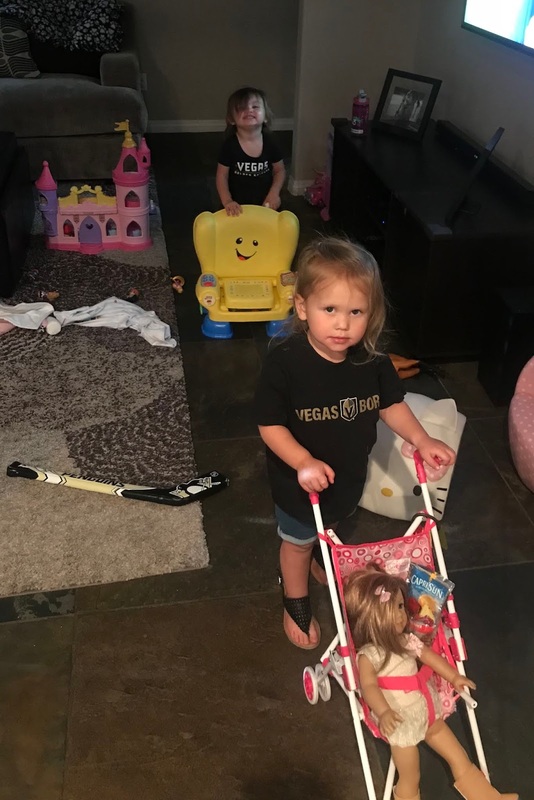 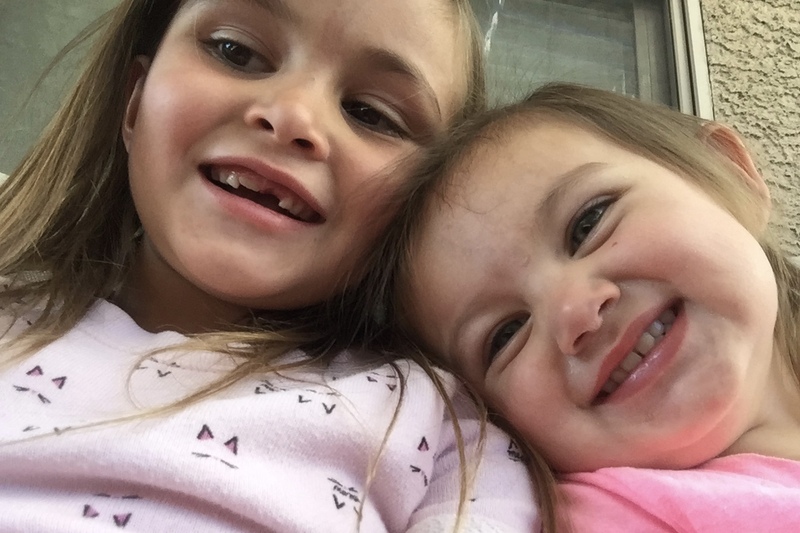 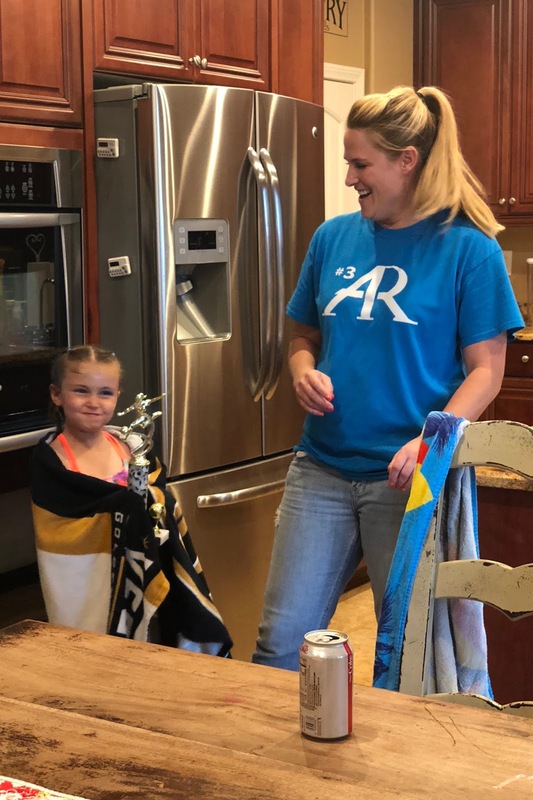 After their fun day, they went to the Gerfy's to watch the Knights game and play with Amelia. 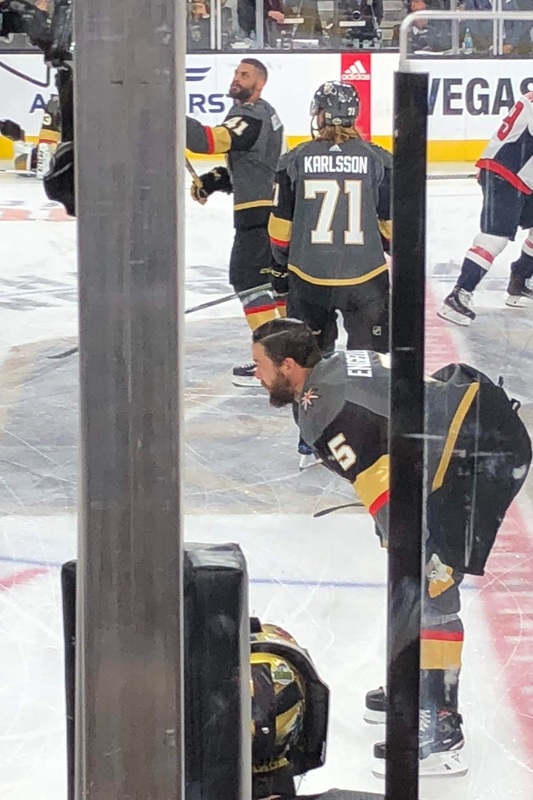 He texted me this picture Sunday morning so proud of his pony tail. 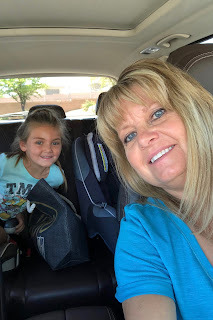 Allison and I walked the beach Sunday morning until it was time to head home. I had a blast with my friends and can't wait to do it again. 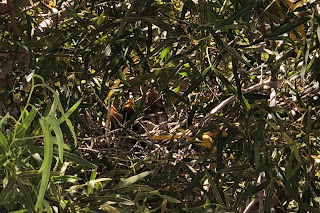 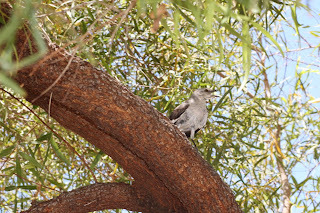 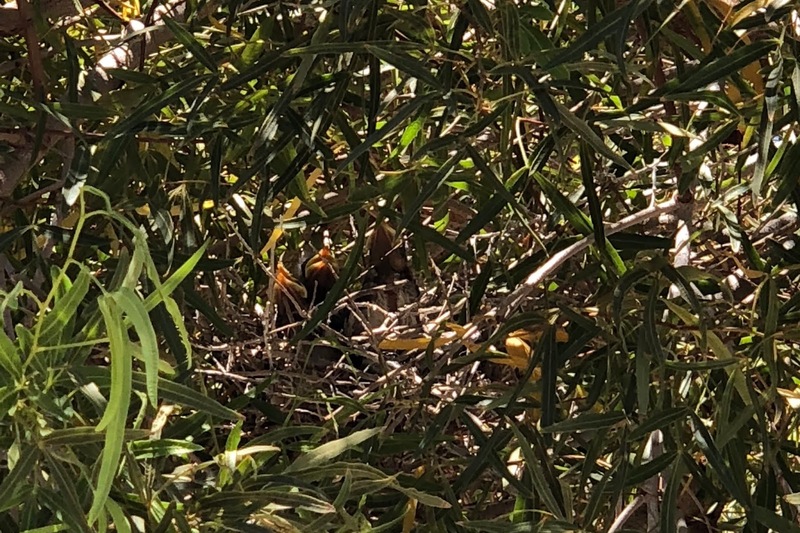 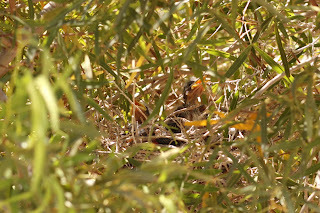 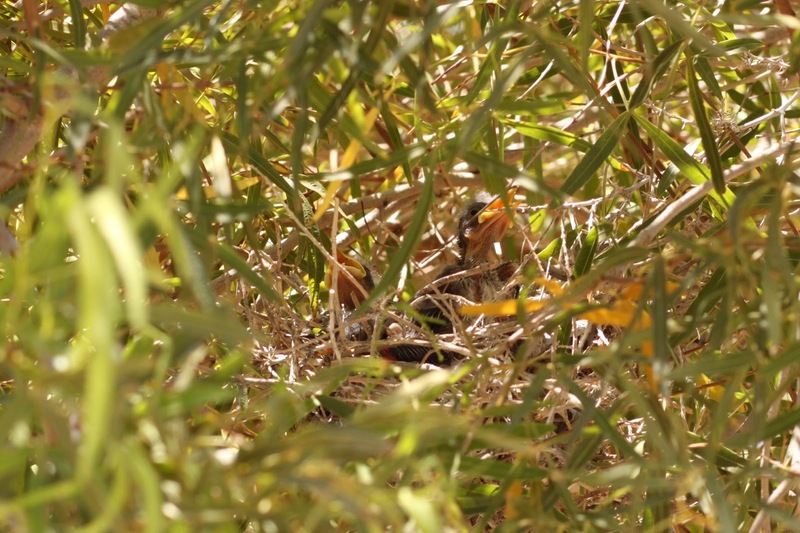 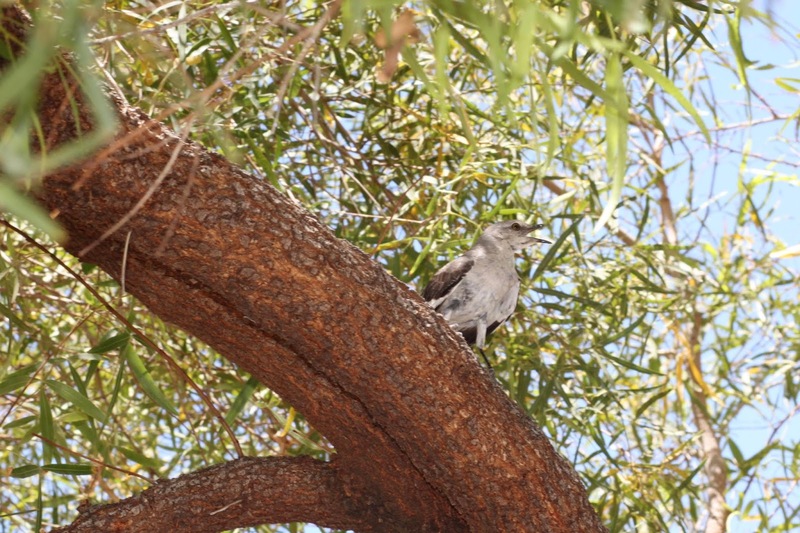 When I got home, Isaac showed me a nest in our tree with three baby birds in it. They were so sweet, and I loved watching them open their mouths to be fed every time they heard noise.